One of the state’s oldest cemeteries is in Detroit on the near eastside. 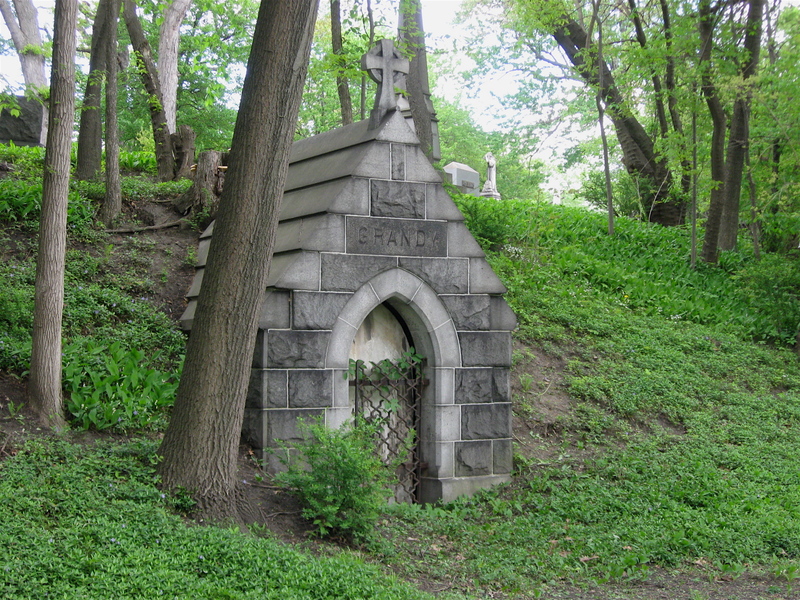 It’s called Elmwood Cemetery, and it was established in 1846. The site features rolling hills, many giant trees, and a natural creek that runs through the west side of the property. There are a series of winding, hilly roads that follow the slopes of the land, making for a peaceful, leisurely bicycle ride. It was designed by renowned landscape architect Frederick Law Olmsted, the designer of Detroit’s Belle Isle Park and New York City’s Central Park. Along the winding small roads are thousands of headstones ranging from simple, small granite markers, to large, ornate marble monuments with beautiful statues incorporated on the tops of them. There are also large family mausoleums built into the sides of the natural rolling valleys found there. 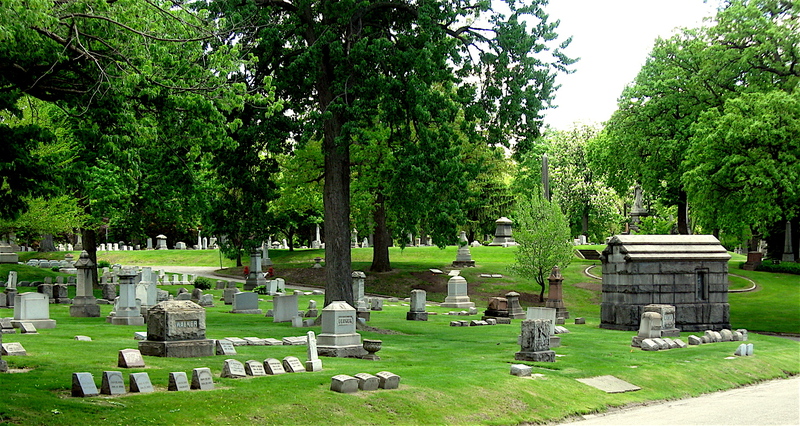 The historic cemetery is the resting place for many of the city’s most prominent families, local politicians, as well as former governors and senators. Elmwood is a great place to visit year around, but for me one of the best times of the year to check out this park-like cemetery is mid to late-spring. Not only have the leaves just populated the tree limbs, but the grass has turned a vibrant green creating a pleasant contrast against the darker colored grave markers. Another reason I like visiting the place in the springtime is because of Memorial Day. It’s a day when many of the tombstones have American flags mounted on sticks that are stuck in the ground next to them. 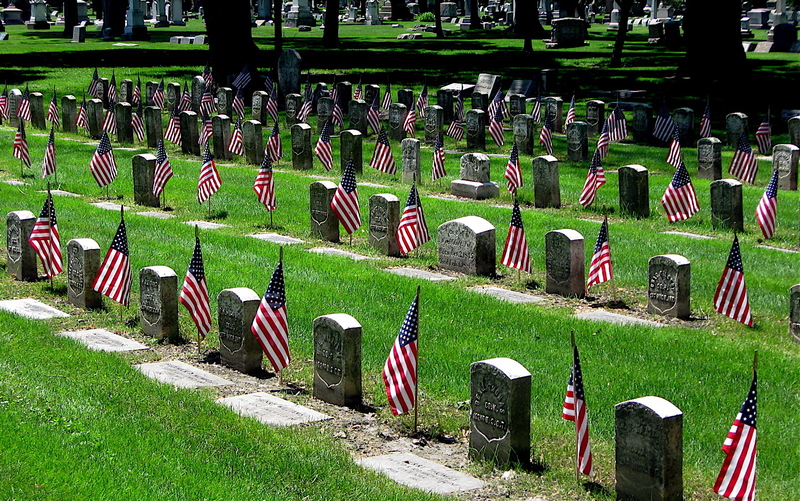 The flags mark the graves of those that have served our country. Memorial Day is an exceptional place at Elmwood. Not only because of who is buried at the site, but because the holiday originated there. 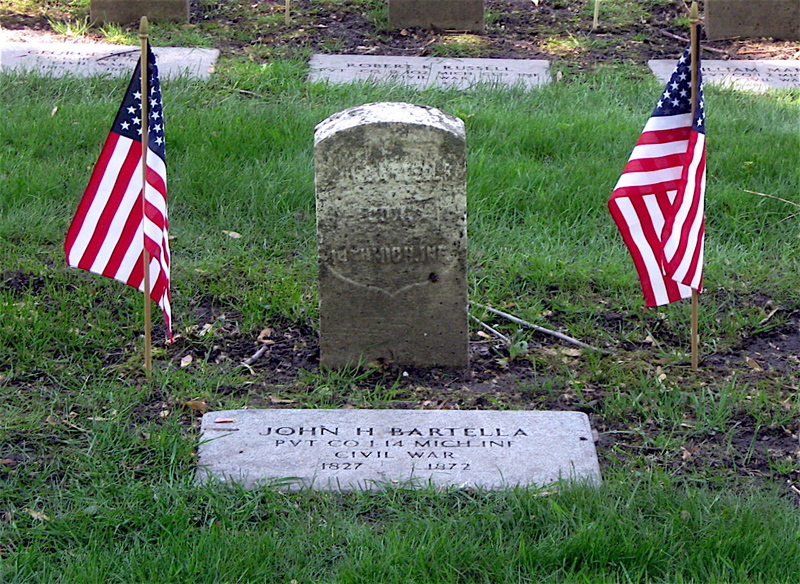 According to the Cemetery’s website, “History books state that Memorial Day, originally designated as Decoration Day, was first celebrated in Detroit in 1869. 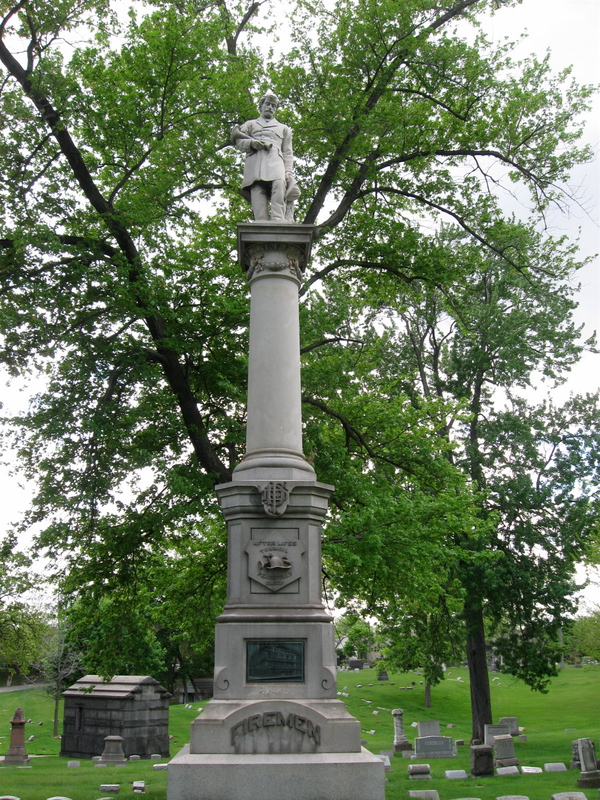 However, Detroit’s first observance of the holiday actually occurred one year earlier on May 30, 1868 at Elmwood Cemetery.” I never would have guessed Memorial Day started there. What also makes this place special to me is the Civil War burial area. That is a dedicated burial area for those who fought in the Civil War, one of our country’s most relevant wars. There appears to hundreds of the old Civil War markers in that section, all dated in the mid-1800s. It is also one of the few places in the United States where the American flag is flown continuously as a memorial to those patriots. The old historic cemetery a good place to spend a little time and reflect on the history of this country and to think about those who have died in the line of duty. Not only war veterans, but police officers, firefighters, EMS technicians, and others that risk their lives on a daily basis to keep us safe. After all, cemeteries are memorial parks to all who are buried there. 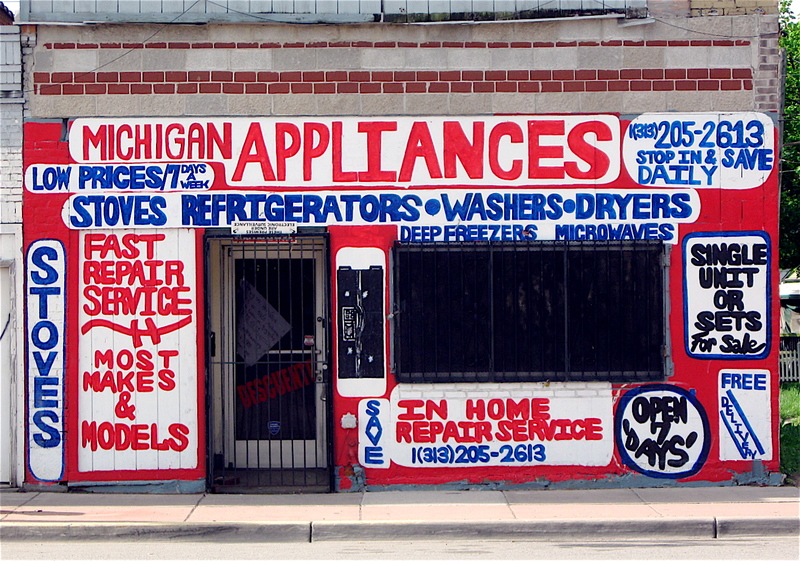 Many of Detroit’s independent stores are colorful places. I’ve seen them painted in eye squinting golds, lively reds, bold greens, and other eye-catching hues such as royal blue. 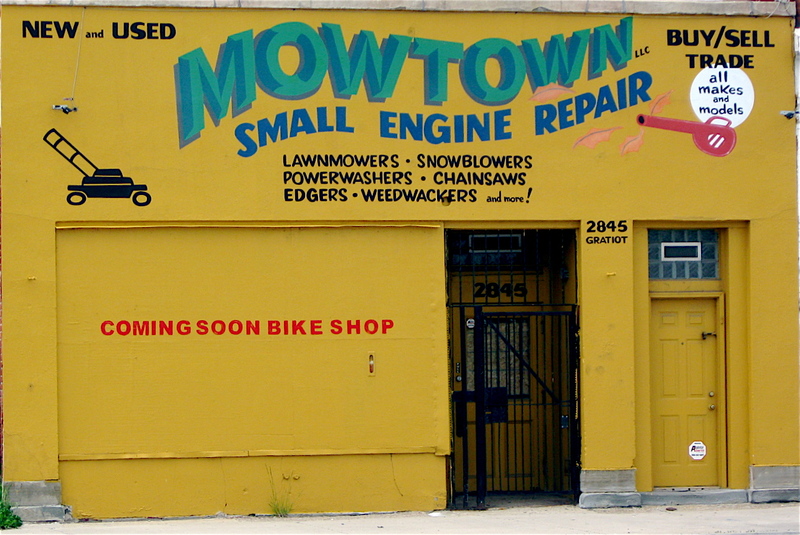 The small businesses have contrasting letters splashed across the bright buildings that promote a particular business or service. Most of the places feature professionally lettered messages. 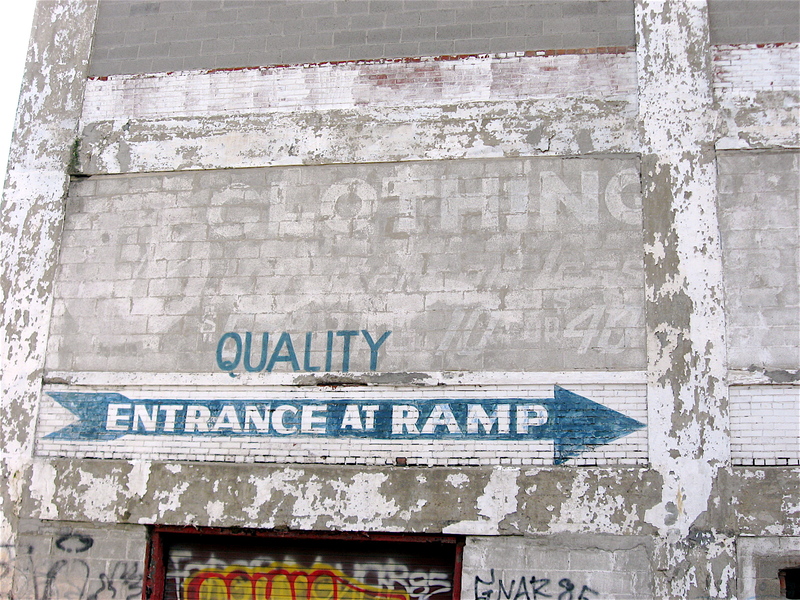 Others are grass-root, non-professional hand painted signs that have been squeezed onto the building. There are also simple white buildings with black or red letters lining the city streets. 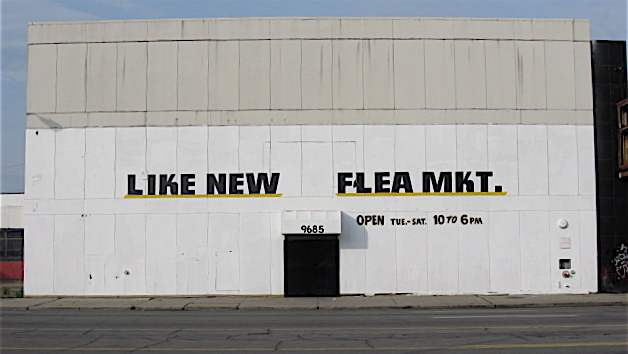 Some are rather stark and feature three or four words only, using only a few letters boldly painted on the side of a one-color building. 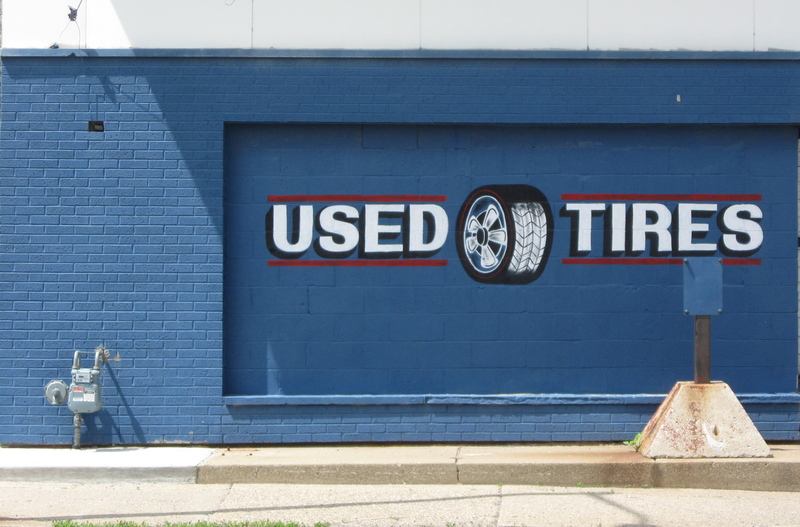 All of these small businesses, regardless of the exterior paint color, advertise auto parts, tires, car washes, food, liquor, appliances, fish, and just about anything else people may need or want. 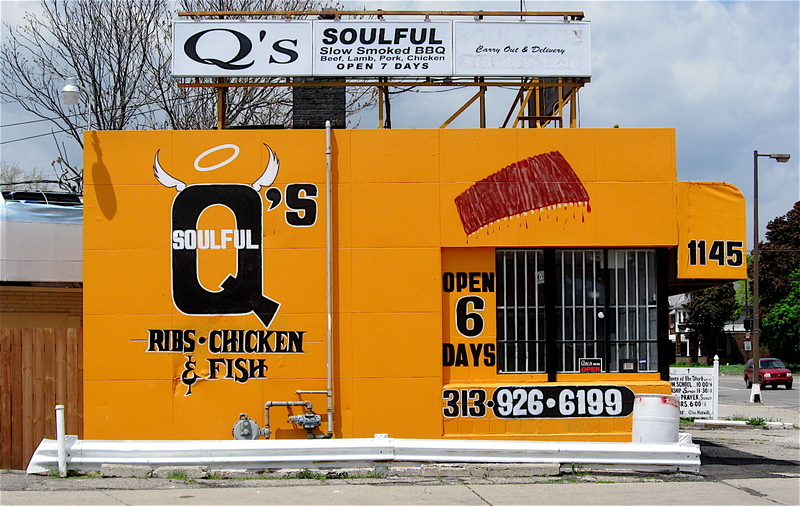 These colorful businesses can be found from one end of the city to the other. On my bicycle rides I’ve seen them in peaceful well-maintained neighborhoods; stuck in small spaces in shabby shopping centers; on busy roads that run through heavy industrial areas; and wide commercial streets that crisscross the city. With their vibrant colors and bold messages, they are not hard to miss. Check them out in your travels. 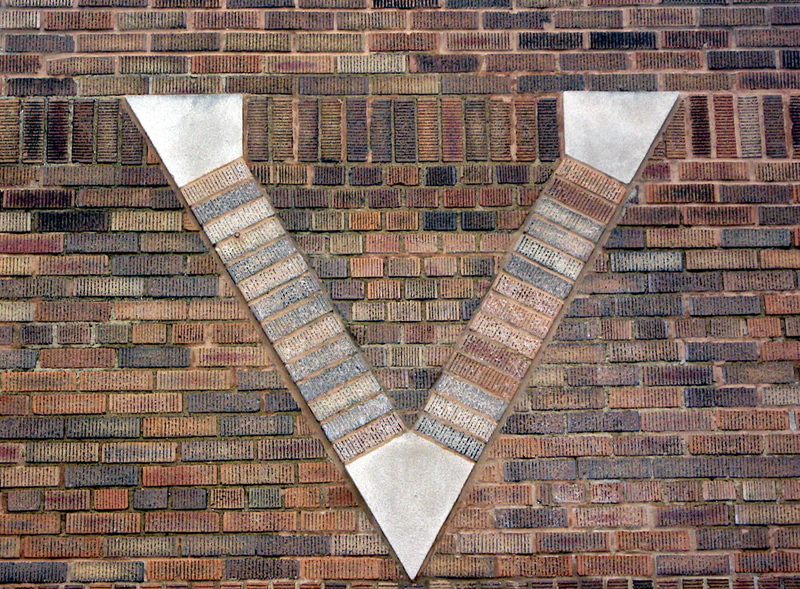 Have you seen the spectacular brick on Detroit’s vintage buildings? The workmanship and designs found on the old places are incredible. Some of the layouts are three-dimensional, creating interesting framed patterns that cast fascinating shadows on the surrounding flat bricks walls. 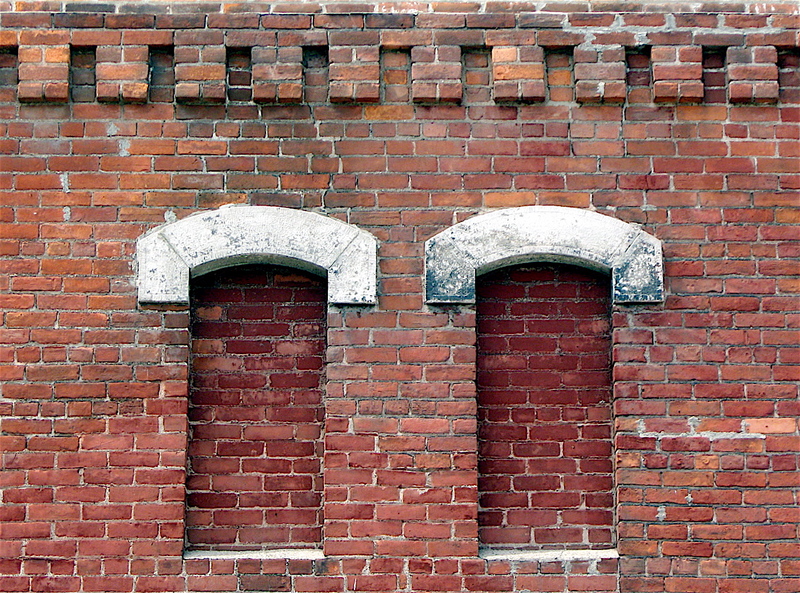 The shadows, multifaceted designs, and layered bricks add depth and interest to an otherwise plain brick building. 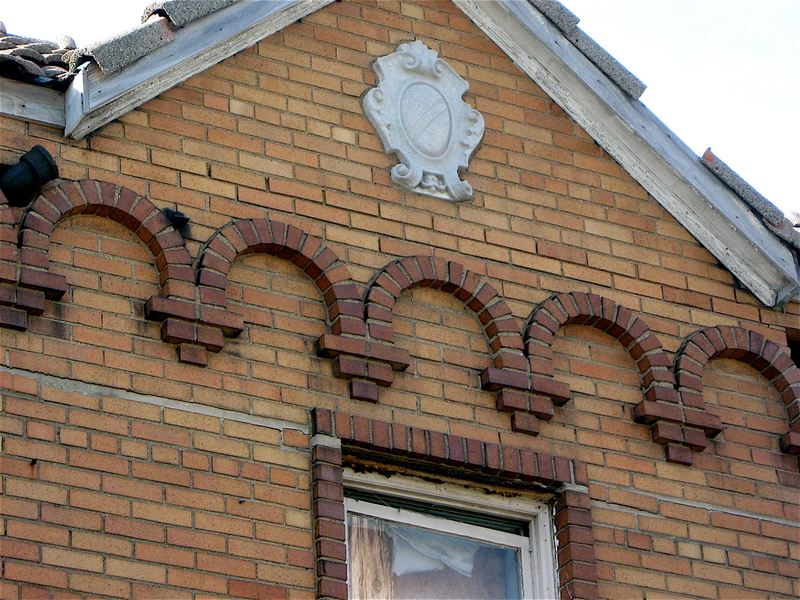 The old world brick laying craftsmanship can be seen on both old homes and commercial buildings scattered throughout the city. 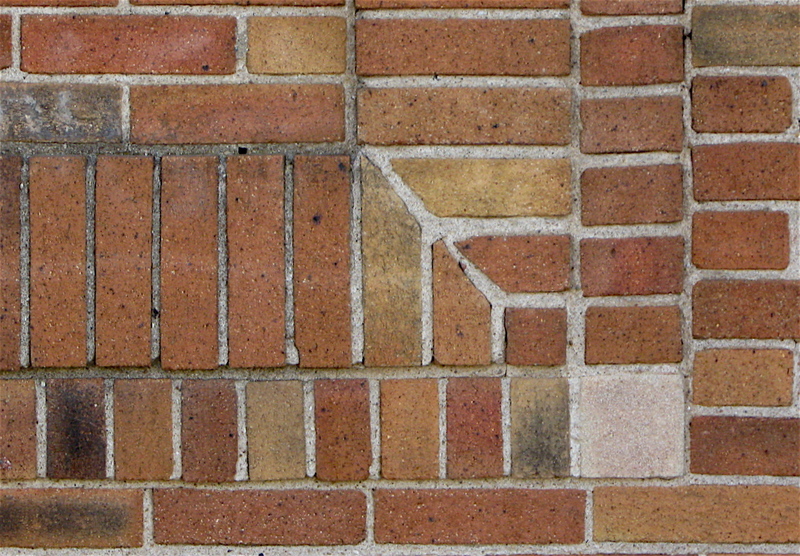 On a few of the buildings I’ve spotted while bicycling, there are custom corners where bricks have been cut on angles. When they were placed on walls they incorporated both vertical and horizontal lines. The corner designs compliment the wall patterns where the cut corners are located. 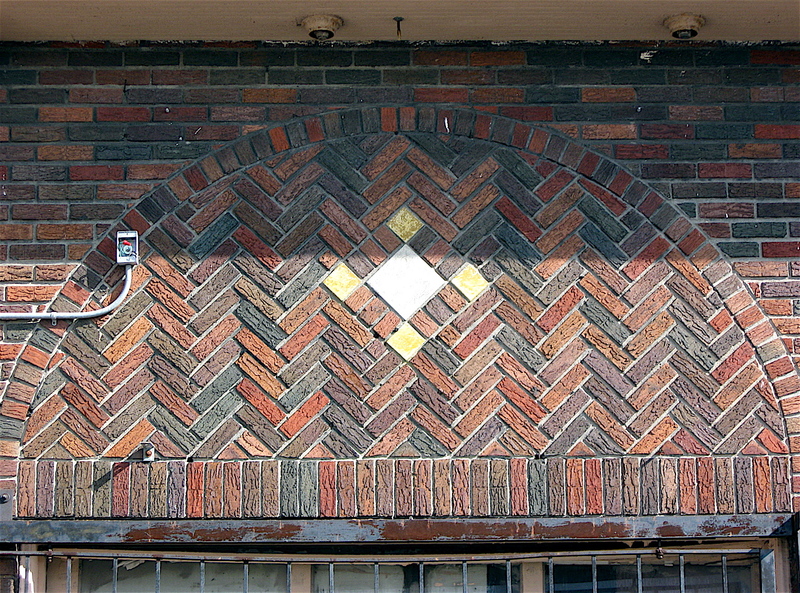 In other cases, talented bricklayers used both vertical and horizontal brick in angled layouts creating interesting herringbone patterns and designs. Those designs remind me of centuries old European streets. Still others are designed and laid out in various arches that enhance a traditional checker board pattern found below the arch. 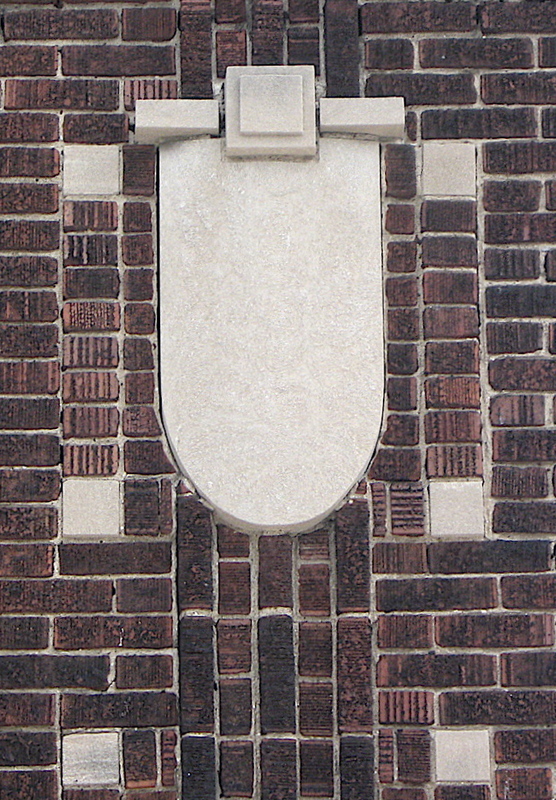 There are also dental type moldings designs in much of the brickwork that are quite similar to wood trim found on many older colonial style homes. 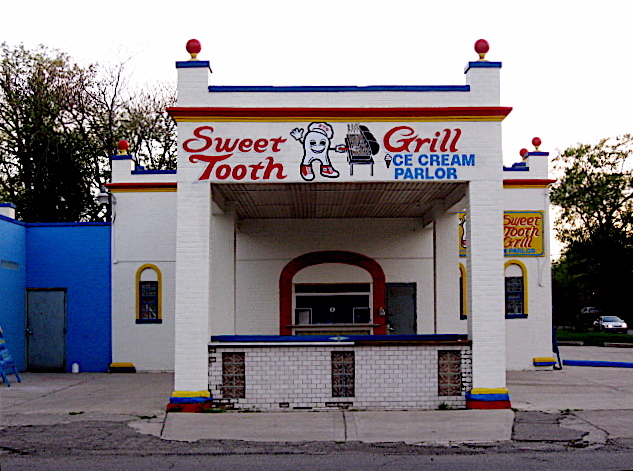 Examples of those can be spotted along rooflines. Other patterns I’ve seen include half, bottomless arches that seem to flow across the building much like decorative braids found on the outside of a wedding cake. 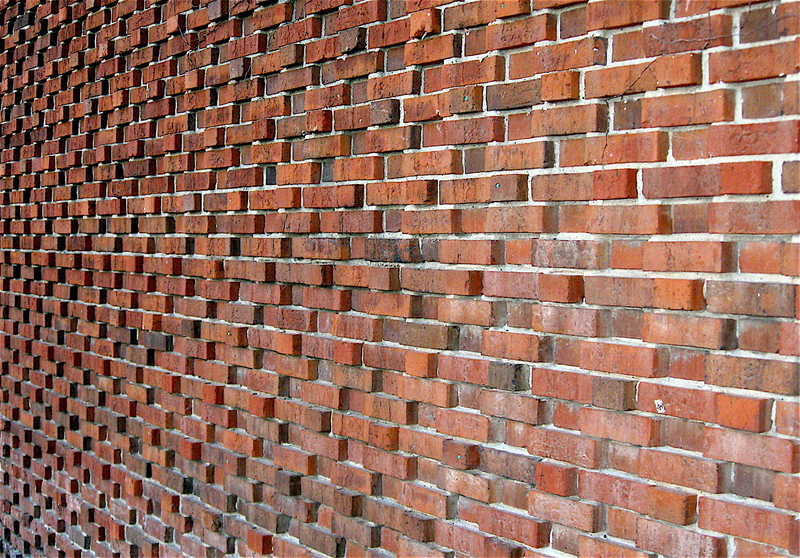 Not all brick patterns are built from traditional reddish-orange bricks. There are a multitude of colorful ones that are featured in layouts creating a colorful collage of lively patterns. 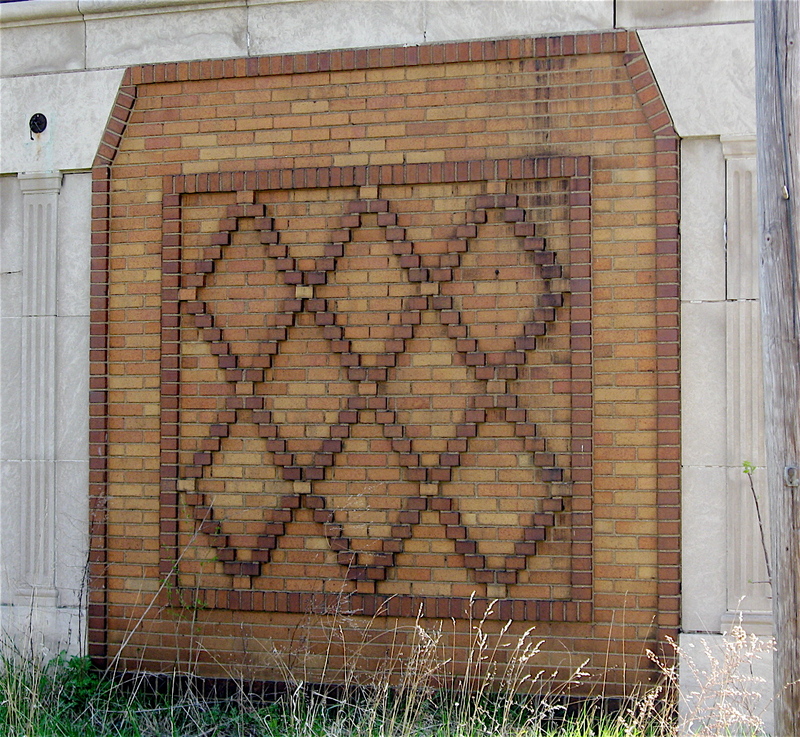 Unfortunately many of the intricate brick patterns are slowly being lost as many of the older buildings in Detroit are being torn down. 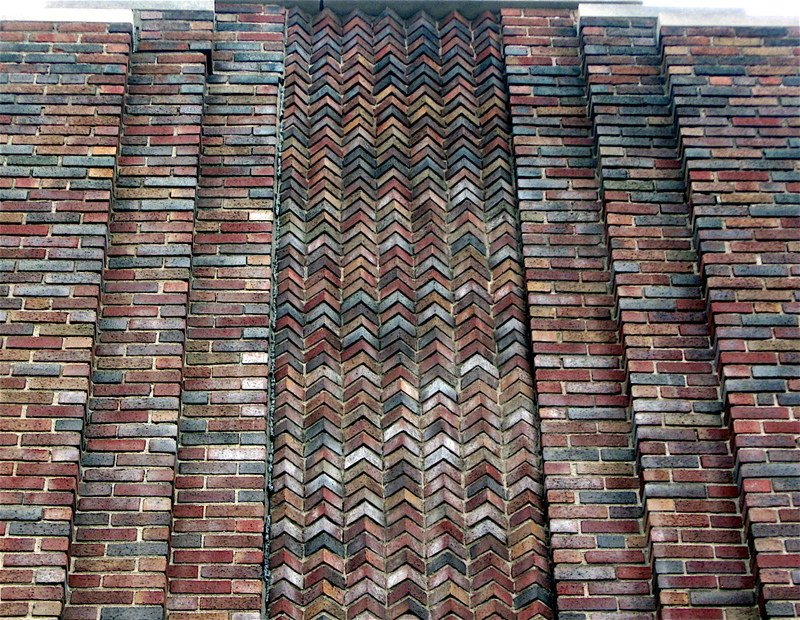 Take a look at the intricate designs that old world bricklayers from past generations have put together before it becomes too late. Their work can be spotted everywhere in this incredible city! Vintage advertising has taken many forms over the years. 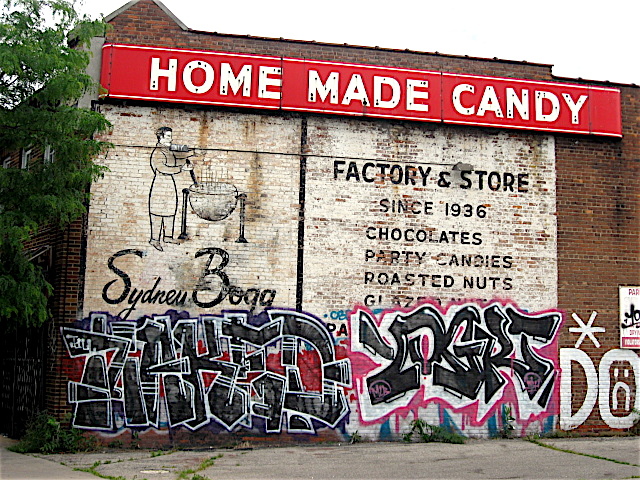 Detailed illustrations and graceful letters can be found on old packaged goods, such as decorative tin cans; clothing items; corporate logos from companies formed in the late 1800’s; and large-sized wall signs found on the sides of various buildings constructed at the turn of the century. 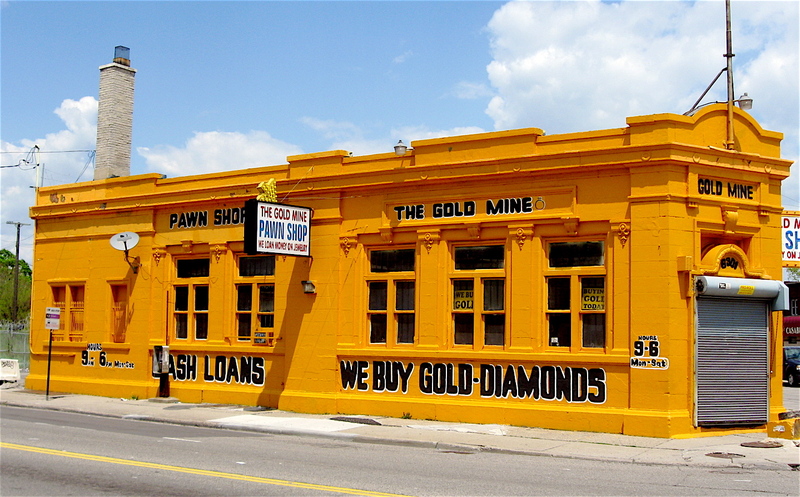 Detroit is an old city and has plenty of 100-year-old buildings that line its commercial streets. 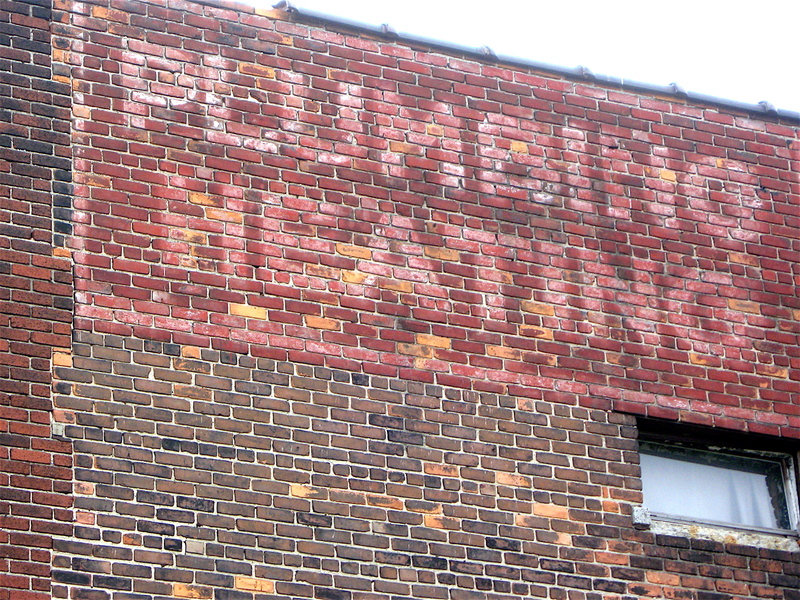 Over the years, countless numbers of classic promotional signs have been hand painted on the sides of them, and many of those timeless signs still remain. 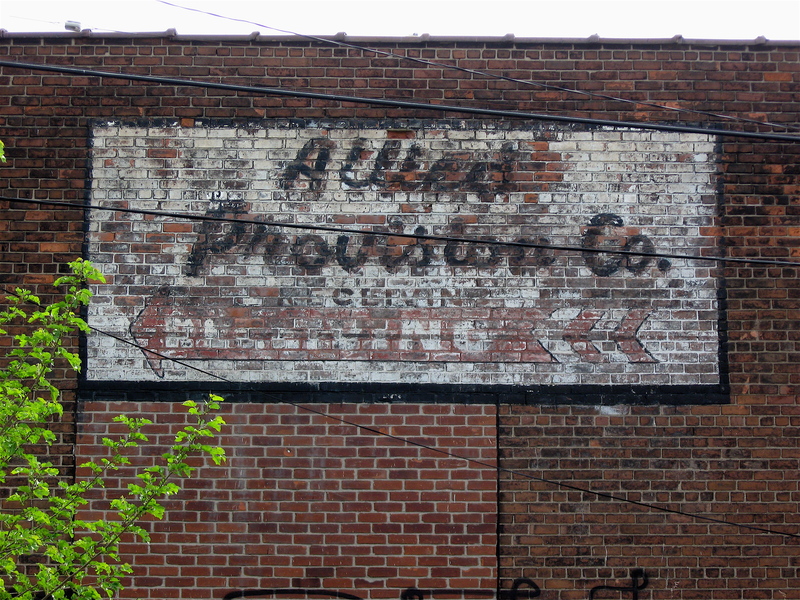 In past blog entries on this continuing series of faded wall signs of Detroit, I’ve posted many photos of the vintage signs found on the sides of buildings. Unfortunately, some of them have been lost. A few of the buildings they were on have been torn down, and some remaining lighter, faded ones have become unreadable on the brick walls and are now barely visible. There are still plenty of classic signs that have survived the years of harsh weather, although many are shadows of their former selves. 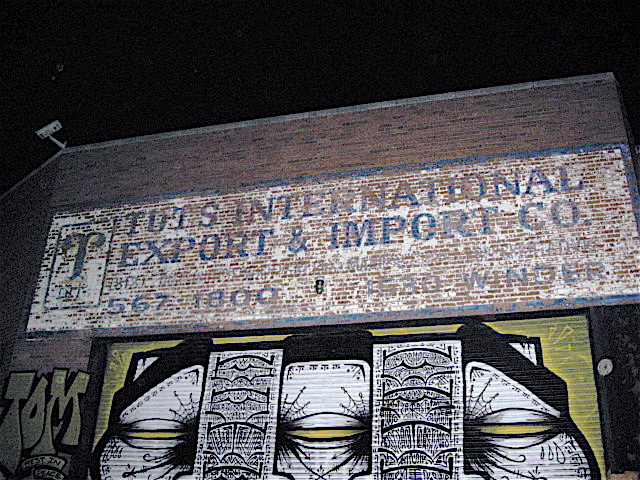 Several of them can be spotted on buildings found in the city’s older neighborhoods, especially those close to the Detroit River. Others can be seen along the city’s main roads that begin downtown and fan out in a spoke pattern. Those particular ones can be a little harder to spot because of the closeness of the adjoining buildings. Looking closely at the old beauties, it’s easy to make out stylish hand painted illustrations, and free-flowing letter fonts that are easy on the eye. It surprising how complex some of the old hand painted signs were. 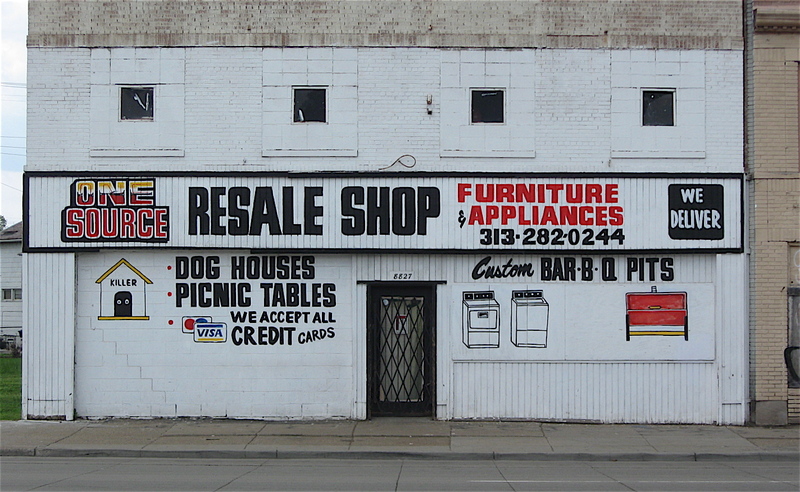 Here are few more photos of the fading signs I’ve seen on my bicycle rides in Detroit. 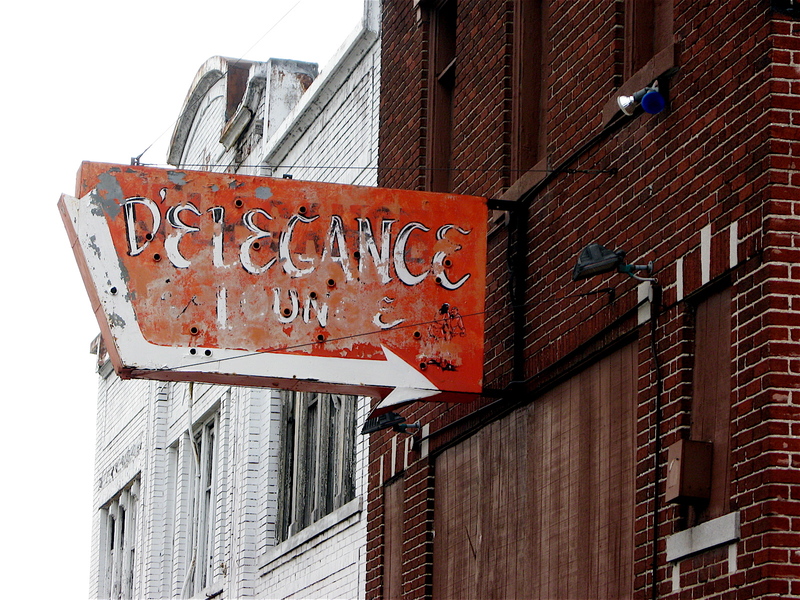 Below are links to the previous entries on this ongoing series on the Faded Wall Signs of Detroit.